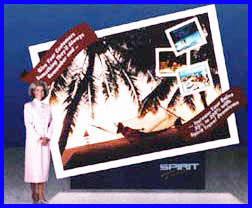 with MAXatrax's High-Impact, Portable, Backlit Exhibit System! 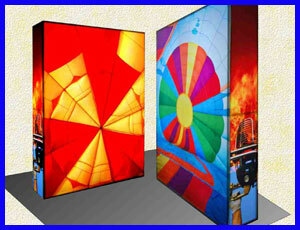 MAXatrax is a dynamic BACKLIT system that literally STOPS traffic at trade shows. Frame set-up is quick and easy with our special push button connector. or can be hand carried. 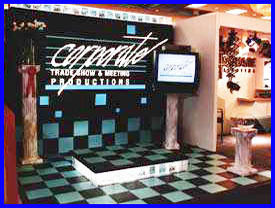 Exhibits are available in many different standard sizes and styles, including tabletops, 8' x 10', 20', 30' and larger.